If you only go to one rally in your life, make sure it’s this one. On October 23, Victorians are rallying to change the rules. Australia needs a pay rise. Our wages have flatlined and the cost of living just keeps going up. Big business has too much power, and they’re using it to rewrite the rules in their favour. But there is strength in numbers. Together, we can change the rules to make sure working people get our fair share. Are you going to be part of it? ASU members are requested to assemble at the ASU Office, 116 Queensberry St at 9.30am so we can march to Trades Hall together. Working people are fighting back. We’re standing up together to win a fairer share for working people – just like we won Medicare, safer workplaces, labour hire licensing and marriage equality. This is our chance to show Scott Morrison and the Liberals that we won’t stop until we balance a broken system that is rigged against working people. Victoria is the union state. It’s time to show the whole country that Victorian workers are standing up and fighting back. 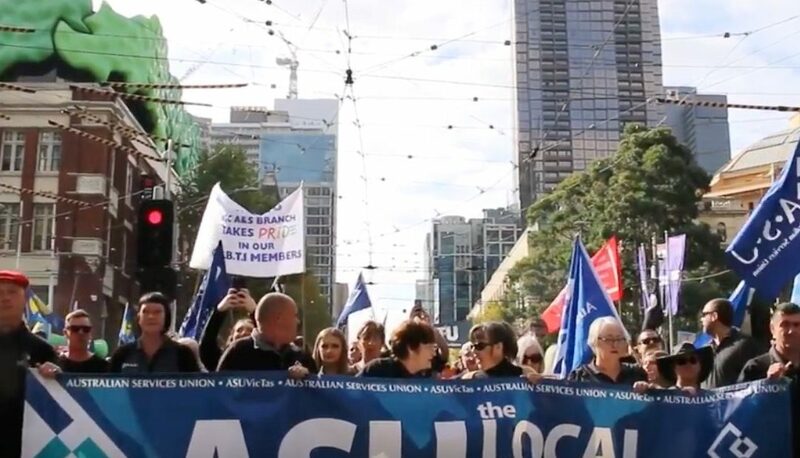 The bigger the rally, the bigger the message that we send to Scott Morrison, the Liberals and their big business mates. Earlier this year 120,000 of us marched on the streets. This time we’re aiming for 150,000. This is your chance to be a part of history. Together, let’s change the rules. Join us for one of Victoria’s biggest ever rallies on Tuesday 23 October.